Injury derails his impressive performance in training camp. Pro football doesn’t reward past performance, only the potential for tomorrow. Former Grambling State star Martez Carter was released by the NFL franchise in Washington on Saturday, just two days after an impressive seven carry 45-yard performance against the New York Jets. Carter injured his leg in Thursday’s preseason game, and Washington designated him as injured and waived him. Carter had been working his way up the depth chart aided in part by the injury bug. Running back Derrius Guice, a second-round draft pick by Washington tore his ACL during the first preseason game. Camp observers labeled Carter as a potential break out player who was showing the moves necessary to make the final roster. The timetable for Carter’s ability to return to the playing field isn’t known, but the rookie does have quality action on tape for his lone NFL game. 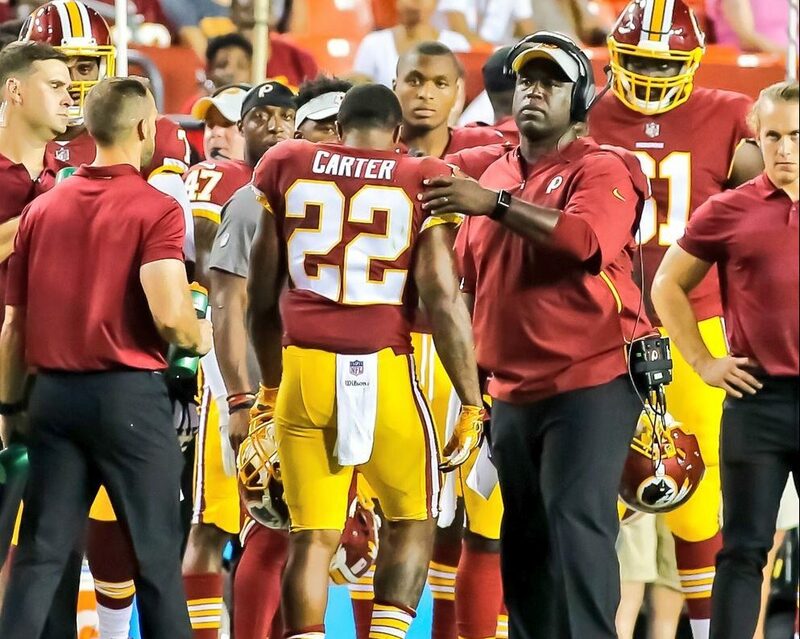 Jay Gruden announced Carter’s release from Washington after Saturday’s practice.